We have 6 Deluxe Studio apartments located at 221, 183 and 202 The Terrace. 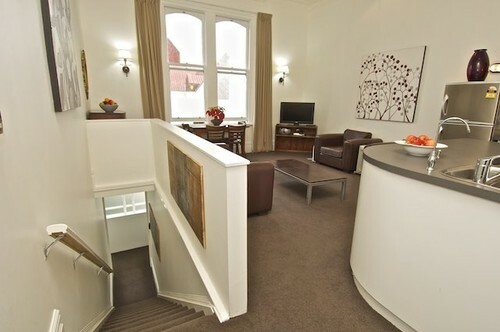 Each apartment is individually furnished with a mixture of both period and contemporary furnishings. All have in common, space, comfort and homeliness. 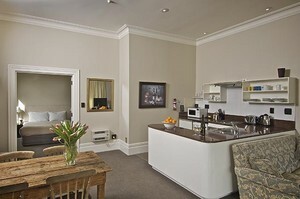 Our apartments come with full kitchen and laundry facilities, 32 inch televisions, cable tv and wireless broadband. Off street car parking is available. Fold out beds are available upon request. The 12 two bedroom Terrace Villas apartments are located at 214, 183, 221, 226 and 237 The Terrace. These apartments have the similar features of a one bedroom apartment with the addition of a second bedroom and slightly larger living area. 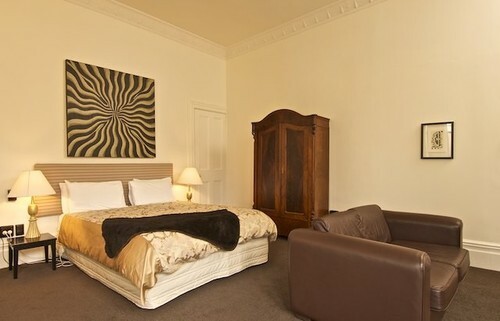 Please note some of our two bedroom apartments can only sleep 3. They are individually designed with the aim to provide optimum comfort with the surrounds and feel of a home away from home. Room Bedding: 1 x queen bed 2 x single beds or 1 x queen bed 1 x single bed or 2 x 2 queen size beds (limited availability) Request can not be always guaranteed.